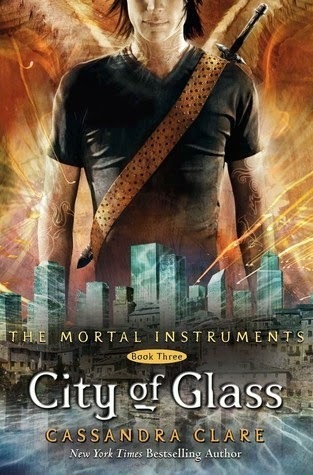 To save her mother's life, Clary must travel to the City of Glass, the ancestral home of the Shadowhunters - never mind that entering the city without permission is against the Law, and breaking the Law could mean death. To make things worse, she learns that Jace does not want her there, and Simon has been thrown in prison by the Shadowhunters, who are deeply suspicious of a vampire who can withstand sunlight. Source: I own a copy. So I actually got bullied into reading this book by a friend. She said I needed to carry on with the series so that I'd be in time to read City of Heavenly Fire. So I very nicely agreed with her. In honesty, I did also want to carry on with the series as I am enjoying it SO much! Cassy Clare's writing just appeals to me so much. I feel like she is writing just for me. I connect with it so much, and the words just flow seamlessly across the pages. The story is woven into my mind, and that is what I love about her. She feeds me everything I want and need. This is why Cassandra is a favourite author of mine. She never ceases to disappoint. In this instalment, I found there to be a lot more action, and things going on. There was always something happening, which I enjoyed so much. I was kept on edge, and I always wanted to find out more. The beginning of the book fired straight into the story, and I was like "Yes, Cassandra Clare! YES!". All the main characters return in this packed-out adventure. We even meet some new ones, and lose some. Clary is a good female character. Although at times she may jump head-first into situations, it's because she fights with her heart, and won't stop at nothing. Jace is just one of those perfect book boyfriends. He is a bad boy in a way; with that sort of cool swag. He has such attitude, but he's funny in his witty ways. His feelings for Clary are so adorable. It's like he is a teddy bear underneath. I really love Simon. He is just so funny! I also love Magnus Bane as he is also hilarious. I liked that we got to see a lot more of Alec and especially Isabella in this novel. It's nice to see some character development. I just found that fascinating. Although there were times in the story when it did seem a little cheesy, I did enjoy it. As the story is written in second person, it is sometimes hard to focus on some characters, but Clare had a great way of showing what all characters were up to by always rotating throughout the entire book. I also want to point out the cover to the book. I absolutely love the cover designs to the series, and the fantastic thing is that all the covers match! That is a good thing as all book lovers (like me) won't get annoyed with cover changes. The ending to this book was cute and fluffy. It did finish in a perfect way. I know this was partly due to Cassandra Clare originally planning on completing the series here, until she decided not long after to continue it on. I adore this series so much, and will always be a fan of it. I can't wait to continue on. Definitely an all time favourite of mine, and that is why I gave it an Ultimate Katie Star; the equivalent of a 6 star rating. I completely recommend this series to all! Hi Katie! 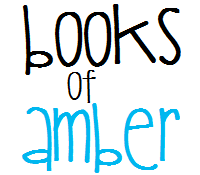 I came across your blog through goodreads, so I figured to stop by and check it out! I am now following your blog through GFC, bloglovin, networked blogs, etc. Speaking of Bane...how did you like the movie adaptation of City of Bones? I though the guy who played Magnus was HOT! I think they did a great job with the movie. I know that the 2nd movie is sort of in limbo right now, but I am hoping they still go through with it. Anyway, awesome review, great blog! Feel free to stop on over mine sometime. I'm always looking for new blogger buddies to chat with and new followers!